Answer: In order to know what to look for in a local church, we must first understand God’s purpose for the church—the body of Christ—in general. There are two outstanding truths about the church. First, “the church of the living God [is] the pillar and foundation of the truth” (1 Timothy 3:15). Second, Christ alone is the head of the church (Ephesians 1:22;4:15;Colossians 1:18). From tomorrow, and in the next few blogs , for those in search of a church to attend, we cover a few of the newer churches as I find out about them and their history. We can agree to disagree on the negotiables but not the doctrines. With much prayer, so choose carefully the one you will join. 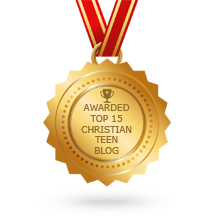 This entry was posted in A CLICK A BLESSING TODAY, CHILD OF THE WORLD, CHRISTIAN LIFE AND THE WORD, CHRISTIAN TAGALOG BLOGS, CHRISTIAN TEENS BLOGS, CHRISTIAN URDU BLOGS and tagged church of living God, Fellowship, local church, pillar and foundation of truth, purpose, teaching. Bookmark the permalink. 2 Responses to Child of the world – Which church is best for me? “Praying about where God wants you to attend is crucial.” I go only to where God leads me to go and for however long He has me there. I do not leave until He releases me from that church. He has purposes for our being in a certain church and we need to listen to His guidance. I’m glad you added that last statement. His will, not mine is always best. Blessings to you.